Through David, this promise is elaborated to include a King from his royal lineage, who will have a kingdom that will endure forever (Gen 17:15-16; 2 Sam 7:16; Ps 89:3-4; Luke 1:31-33), and from the line of David was Jesus Christ. Despite the failure of the nation of Israel to keep their promise of the Mosaic Covenant, God unilaterally makes a New Covenant, mediated through Jesus Christ (Jer 31:31-34; Ezek 36:25-28; Luke 22:20), and bestows the Holy Spirit. God fulfills this promise of land with new Jerusalem. 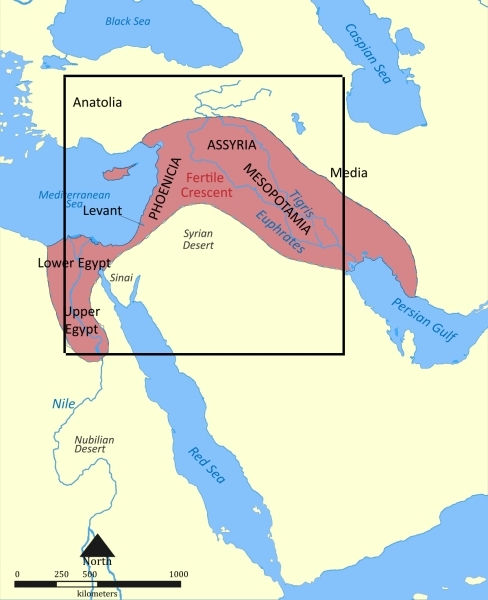 Although, new Jerusalem is a square (1400 miles x 1400 miles), its area encompasses the entire land promised by God!